Lowe Rental Ltd is the latest in a line of organisations turning to CoreRFID to help improve the traceability of their high value assets. Lowe is the world’s largest, and only global, refrigeration rental company. With more than 50,000 items of refrigeration equipment available for rent across the world, keeping track of these high value assets was a challenge. As part of the CoreRFID solution, RFID tags will be attached to all items of rental equipment. 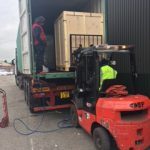 In order to understand exactly when items are shipped out and to where, handheld readers will be used in the 12 warehouses across the globe, including 3 in the UK. Items will automatically be checked back in again as they pass through the fixed point portals installed in the warehouses. The CoreRFID solution links directly into Lowe Rental’s CRM system, automating the process and therefore removing any opportunity for errors. This complete RFID asset tracking system will improve traceability and efficiency. RFID tags were the obvious choice to replace the barcode system which was being used to identify equipment. RFID tag readers can read data from a tag without line of sight, making it much easier to obtain the information required. 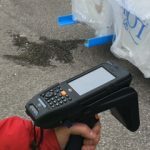 All of the tags can be read at once, rather than individually, meaning a stock audit can be done quickly, easily and safely without having to be too close to any of the equipment. Impinj Revolution readers have been installed for the fixed point portal and M3 UHF guns have been chosen as the handheld option. Rugged, Confidex Ironside UHF tags and slim Omni-ID IQ400 labels were chosen for the refrigeration units as they are rugged and have excellent read range.